Christopher Carr became the CHS Band Director in 2014. Under his direction the Trojan Marching Band has continued to earn superior ratings and remain competitive at marching competitions. Additionally, the Wind Ensemble has been invited to perform at the Music For All Southeastern Regional Concert Band Festival hosted by Georgia State University. 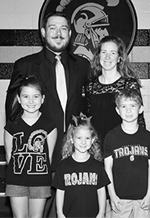 Prior to coming to Carrollton Mr. Carr was the band director at South Paulding High School where the band program consistently earned superior ratings at both concert and marching festivals. Under his direction the South Paulding High School Band performed at the Georgia State University’s Georgia Bands of Distinction Honor Clinic in 2010; the University of Georgia’s January Festival for Concert Bands in 2013; and was invited to perform in 2014 at the Georgia Music Educator’s Association In-Service Conference in Savannah, Georgia; and the SouthEastern United States Band Clinic hosted by Troy University. Additionally, the SPHS marching band was invited to perform in the London New Year’s Day Parade in 2015 under his leadership at South Paulding. Previous to his tenure at South Paulding High School, Mr. Carr earned his Masters of Music Performance in Wind Band Conducting where he studied with Dr. Robert J. Ambrose. Serving as a graduate assistant he had the privilege to conduct the Georgia State University Wind Orchestra, direct the Panther Basketball Band, and assist with the Wind Ensemble. Before studying at GSU he earned his Bachelor of Music degree in Music Education and Clarinet Performance at the University of West Georgia. While at UWG he served as an assistant in the music office, the band office, and as drum major of the marching band. 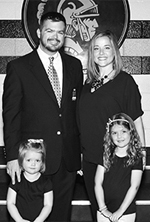 Mr. Carr lives in Carrollton, Georgia with his wife Lindsay Carr, a kindergarten teacher at CES, and their three children: Cadence, Colin, and Charlotte. Neal Bright became the CHS Assistant Band Director in 2017. Prior to coming to Carrollton Mr. Bright was the Director of Bands at Sammy McClure Middle School and Percussion Coordinator at North Paulding High School in Dallas, GA.
A graduate of Effingham County High School, he holds a Bachelor’s of Music Education degree with an emphasis on percussion from Georgia Southern University. While at GSU, he was a drumline instructor for the Southern Pride Marching Band as well as the GSU Indoor Drumline, which earned 3rd place at the Percussive Art Society International Convention. Throughout his career he has participated, instructed, and written for some of the top groups in the world. Mr. Bright was the Co-Captain for the Atlanta Quest Independent World drumline its first two years in existence, and has recently served as a Battery Tech. He also marched on the tenor line for the 2008 DCA Class A World Champion and High Percussion winner, Alliance Drum and Bugle Corps. His 2009 Scholastic A indoor drumline won the title of SAPA Champions, also earning 14th place and a Semi-finalist at WGI World Championships. Mr. Bright currently designs and composes music and shows for Countermotion Inc. Neal Bright is sponsored by Vic Firth and would like to thank them for all they do. Ms. Menendez, a native of Ontario, Canada, Ms. Menendez moved to Douglasville, Georgia at the age of eight. She is a graduate of South Paulding High School and attended Columbus State University where she earned her Bachelors of Music degree in Music Education. While attending, Ms. Menendez was a member of the Columbus State University’s Trombone Choir and Octet, which just released their Debut CD, “A Beautiful Noise” with Summit Records. “A Beautiful Noise” is a collaboration with some of the world’s top trombonists representing symphonies and other ensembles from Boston, Atlanta, Seattle, Chicago, New York and the Metropolitan Opera. 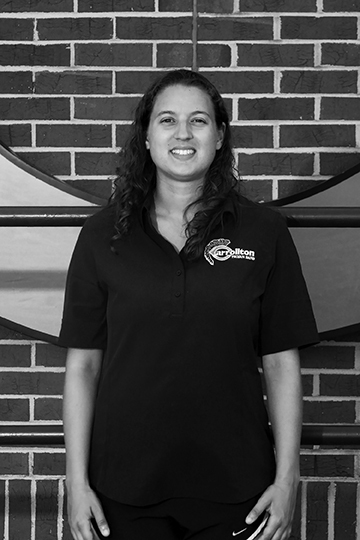 During her senior year Ms. Menendez served as the president of CSU’s collegiate chapter of the National Association for Music Education. In 2013, Ms. Menendez studied abroad in Copenhagen, Denmark. 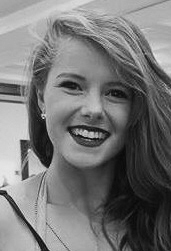 Additionally she spent seven weeks of her summer at Interlochen Center for the Arts where she worked as a counselor in the High School Girls’ division. Ms. Menendez currently resides in Carrollton, Georgia. 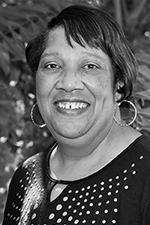 Barbara Dothard is a native of Carrollton and a 1971 graduate of Carrollton High School. Ms. Dothard was inducted into the Trojan Athletic Hall of Fame in 1996. She is the mother of CHS graduates Fred and Greg Dothard, the proud grandmother of five and great grandmother of a future Trojan. She worked for Southwire Company and Mt. Zion Missionary Baptist Church where she is an active member. Ms. Dothard loves sports, singing, dancing and cheering for the Trojans. She is excited about being the band secretary and expects great things to happen this year and years to come.